Amazing opportunities from “Trips In Egypt” for those, who are in Saudi Arabia whether they are residents, foreigners, workers in Saudi Arabia and want to spend an unforgettable trip in a totally different place to change their life routine and experience the best things in Egypt. We decided to provide the ultimate happiness through majestic Egypt tour packages from Saudi Arabia to the most spectacular Egyptian Cities in order to tour around the historical attractions in Egypt & know all about the great Egyptian Civilization. So now get ready to a completely new adventure where everything is possible while being accompanied by an Egyptologist tour guide who will explain every single detail about the history of the Ancient Egyptians and tell you some of the hidden secrets too. It is known with “The City of a Thousand Minarets” because of the amazing architecture it has in addition to the terrific attractions that belong to the Ancient Egyptian Pharaohs and other historical eras. Among this sightseeing, there are Giza Pyramids Complex that has the three main pyramids of Giza, the magical Sphinx, the Valley Temple, in addition to other tombs, and smaller pyramids. You can find the great Egyptian Museum, Khan El-Khalili Bazaar, which is the largest open-air museum, Mohamed Ali Mosque, Cairo Citadel and other mesmerizing places that you can visit during your Egypt tour packages. This special city is known as the bride of the Mediterranean Sea because of its memorable ancient & modern attractions starting from Alexandria Library, Qaitbay Citadel, Pompey’s Pillar, and the catacombs. The weather in Alexandria is the best, which enables you to enjoy the most and never get bored from the fanciful places there. It was called in the ancient time “Thebes” that was the major center for all the principle antiques and gorgeous monuments. In Luxor, you can visit the majestic temples of Queen Hatshepsut, Karnak, Luxor, Valley of the Kings, in addition to other gorgeous sites. The amazing “Nubian City” that is known with its kind people and their very beautiful heritage. 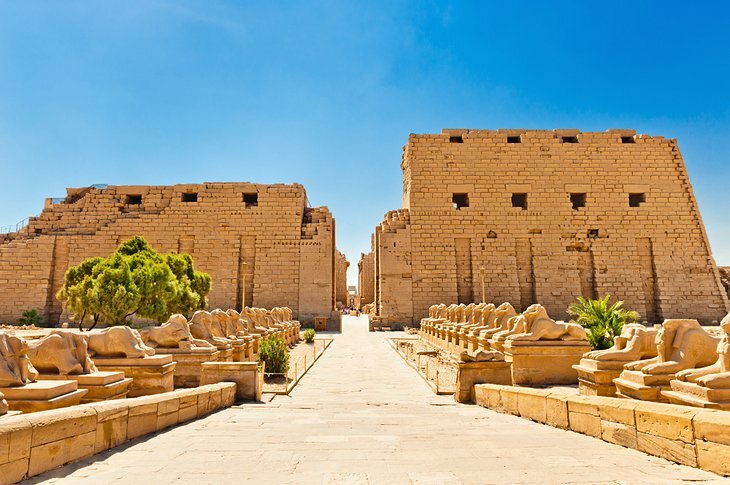 Some of the superb landmarks in Aswan, you can find Abu Simbel Temples, Philae Temple, the High Dam, Kom Ombo & Edfu Temples which you can witness during a Nile cruise. With us, as we said before, everything is possible and that is why we picked up some of the most fascinating Red Sea Cities where you can practice some unforgettable activities. Some of these cities are Hurghada, Marsa Alam, El-Gouna, and Sharm El-Sheikh. While being in such places you can enjoy snorkeling, diving, scuba diving, desert Safari and much more. Why Choose Us to Organize Your Egypt Tour Packages from Saudi Arabia? Simply we guarantee that your time in Egypt will be unforgettable as you will get the most desirable services while being in 5* hotels, touring around Egypt in private air-conditioned vehicles. Our target is the happiness of our customers and that is why we prepared our Egypt tour packages from Saudi Arabia with very reasonable prices that fit all tourists around the world. You can also customize any of our trips to see what are the main activities that you want to do and you’ll find us at your service.